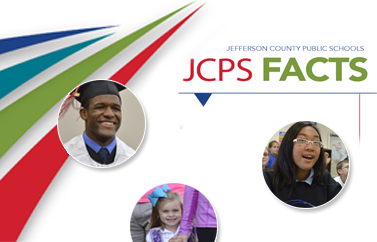 March 29, 2018—After officially being named Tuesday as the permanent superintendent of Jefferson County Public Schools (JCPS), Dr. Marty Pollio today announced his five-point plan for moving the district forward. The plan highlights the key strategies Dr. Pollio will focus on during the next 100 days: launching the JCPS Backpack of Success Skills initiative; revamping the district’s Vision 2020 strategic plan; restructuring central office; reimagining the district’s alternative schools; and implementing a facilities plan focused on students and schools. The plan builds on Dr. Pollio’s day-one priorities of strengthening climate and culture, increasing student learning and improving organizational coherence. It also reflects ideas from JCPS teachers, students and stakeholders that Dr. Pollio has received feedback from while visiting schools and community groups during the last nine months. To announce his plan, Dr. Pollio visited Frederick Law Olmsted Academy North and toured a mechanical engineering class, where students are using math and science skills to design and build products that solve problems and improve processes. The class is an example of student engagement and the district’s Deeper Learning Initiative. Teachers are working to create relevant experiences that encourage students to take a more active role in their learning, while also building a backpack of skills from kindergarten through graduation that gives students both the academic and essential skills for success in the 21st century. A summary of the plan is below. Launching the Backpack of Success Skills—Dr. Pollio’s Backpack of Success Skills initiative will help all students districtwide develop key cognitive, social and self-management skills to empower them with the tools they need to be successful in school, life and work. Dr. Pollio and his leadership team will be implementing the initiative districtwide during the 2018-19 school year, providing students with a backpack full of universal essential skills, such as critical thinking, collaboration, creativity and communication. Students will fill their virtual backpacks with examples of their work and defend that work during the school year. Revamping Vision 2020—Using the goals originally developed in Vision 2020, Dr. Pollio and his leadership team are implementing new strategies that will provide a laser-like focus on what the district will do and accomplish by Dec. 31, 2020. The revamped strategic plan will also allow district leaders to update on a regular basis the district’s progress in meeting key goals. Restructuring central office—Dr. Pollio is committed to creating a central office structure that better supports schools and reflects those of “best-practice” urban districts. Dr. Pollio is implementing recommendations from a review by the Council of the Great City Schools that provide a better balance to the district’s central office and deliver resources to students and schools in a more effective and efficient way. Reimagining alternative schools—Dr. Pollio believes it’s time to rethink how we deliver services to our most at-risk students—ensuring that the district is providing a quality education, relevant and career-focused opportunities, and the comprehensive support services that students need to thrive both in school and at home. A new alternative school programs model will establish separate programs and facilities for middle and high school students. Additionally, it will focus on providing career-focused opportunities to students by linking them to Academies of Louisville programming and providing a more personalized learning experience. A task force created to reshape the alternative school programs will convene later this spring. Implementing a facilities plan focused on students and schools—From establishing a centralized location for the Newcomer Academy to creating early childhood education centers, Dr. Pollio is committed to implementing a facilities plan that provides strengthened support to students and schools. In 2018, a consolidated Newcomer Academy will launch at the current Phoenix School of Discovery building and the Phoenix School of Discovery will move to the Jaeger Education Center on Wood Drive. The changes are in addition to those approved at the Feb. 27 board meeting, which combined the district’s two Teenage Parent Programs (TAPPs) and created an early childhood education center and a temporary home for the new W.E.B. DuBois Academy. Dr. Pollio envisions rolling out another comprehensive set of facilities recommendations that will help address critical needs within the district.